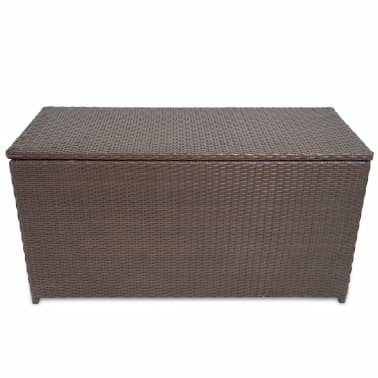 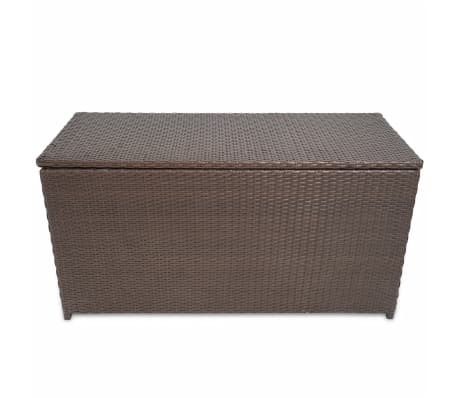 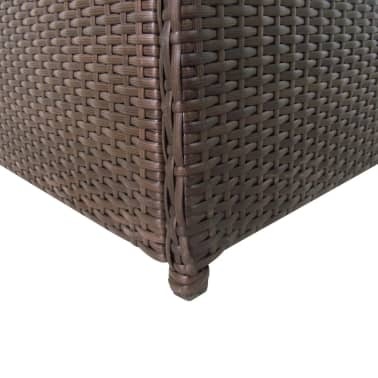 This storage chest has a water-resistant lining, which makes it an ideal storage solution for your garden furniture cushions and all manner of other objects. 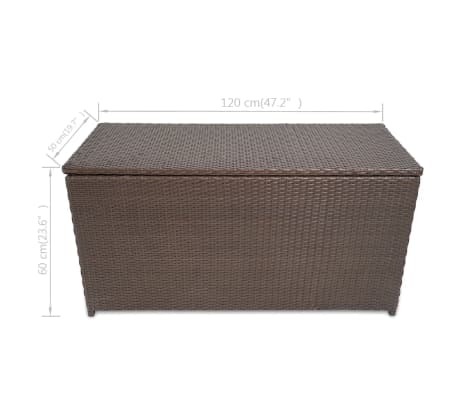 Thanks to the weather- and water-resistant PE rattan, the storage box is easy to clean, hard-wearing and suitable for daily outdoor use. 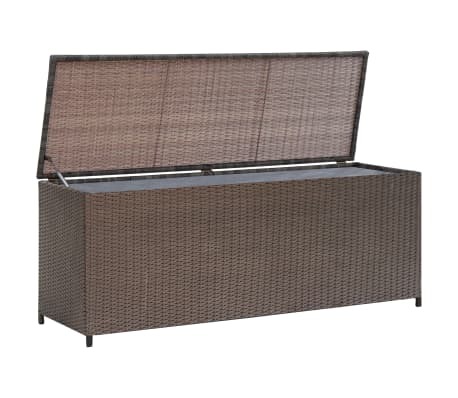 The chest has a sturdy, powder-coated steel frame, which is highly durable. 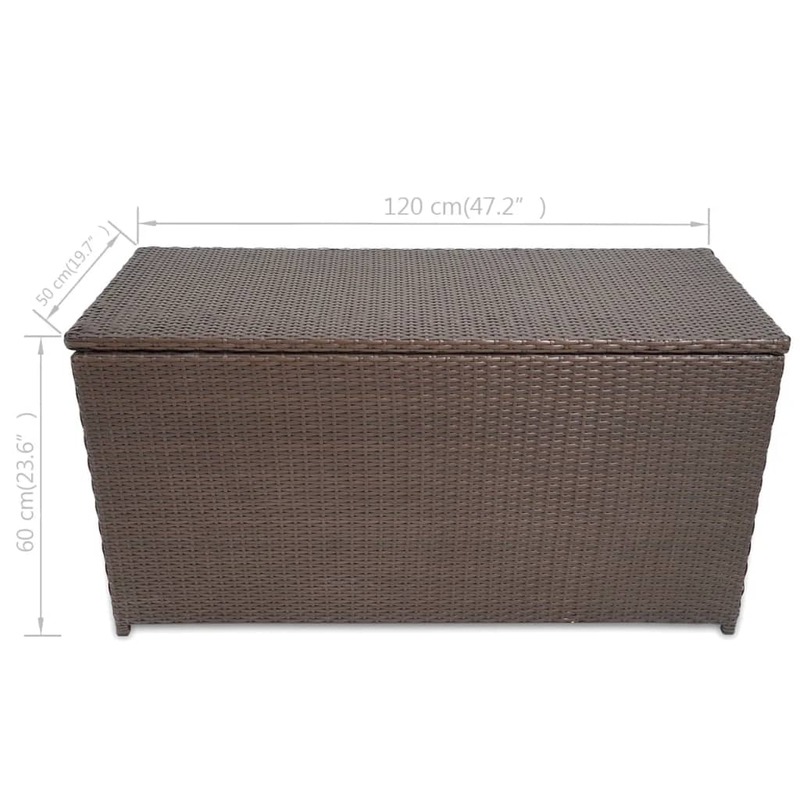 The water-resistant, polyester lining will protect the contents from moisture.